Luis Avilan will become the Phillies left-handed ace reliever. The Phillies haven't made much of a splash off the field as they've tried to compete for a playoff spot whilst also maintaining their youth and potential for the future. So Wednesday afternoon they made a minor move —one that came less than a day after the team's bullpen blew a 3-run lead by allowing nine runs in a depleting loss in Washington Tuesday. In acquiring Luis Avilan, the Phillies hope they can solve some of their late (and middle) inning woes. 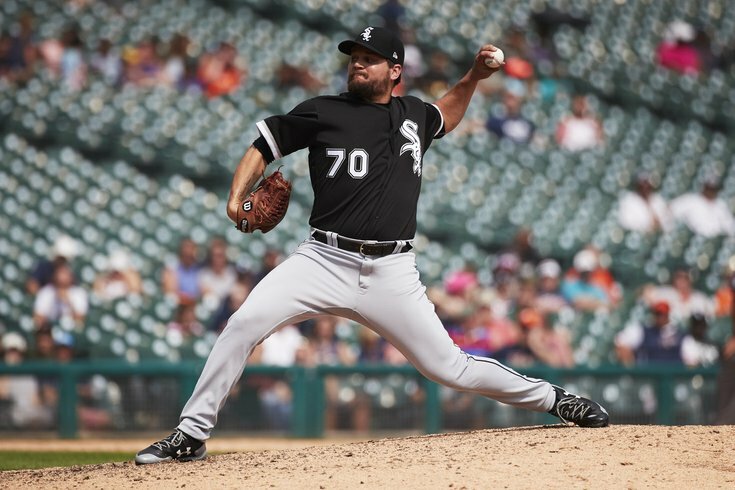 Avilan, who has a respectable career ERA of 3.09 as a left-handed specialist, started the year with the Dodgers and was later traded to the White Sox. Double-A pitcher Felix Paulino was sent to Chicago as the Sox' compensation in the deal. The most alluring stat from Avilan is his success against left-handers, allowing just .212 of them to get hits over his last three seasons. As a whole, Philly's bullpen ERA is 4.07, right in the middle of the MLB pack. They have allowed .250 of hitters to grab hits. The acquisition, Philly's fourth trade of the summer, comes about a week ahead of the second, non-waiver trade deadline with the Phillies currently two games behind the Braves in the NL East.